Stem NZ | Motivational Speakers for organisations in NZ and overseas. by only exposing them to those who are still in it. Here on my website you will find out all about STEM:NZ, Ian Harper, Motivation and Training. Ian has been called “an undiscovered Motivational Luminary”. Here you will be able to look up some of the professional services offered, price structures and things to buy or get for free. # For people to reach their potential they need a balance between structure and freedom to act. # For training to be effective, a workplace based training and learning needs analysis needs to be developed as an integral part of the working activity. Our vision is that all businesses and organisation’s see the value of, and use, strategically focused training and development plans. Why does STEM:NZ exist ? To provide strategically focused training and related activities in partnership with management teams. What does STEM mean ? Ten great reasons to utilize STEM:NZ ? You will receive a customised programme, which will be designed in partnership with you, and which will have a focus on your strategic goals. Who are STEM:NZ and who is Ian Harper ? 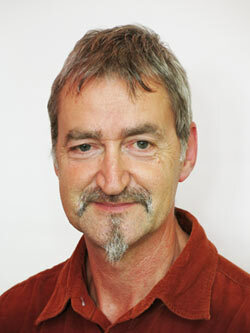 STEM:NZ ‘s founder, principal director, primary consultant, programme designer and facilitator is Ian Harper. He has had over 20 years experience in the health care field (as a Registered Psychiatric Nurse) before creating STEM:NZ and becoming involved in Training and Service Development in a wide variety of industries. For the past 20 years, Ian has built up a very positive reputation and has spoken at various conferences, in N.Z. Australia, England and Eire. Ian was born in England and emigrated to NZ 25 years ago. Since then, he has become well known in NZ as a leading speaker on motivation and other staff and management issues, as well as non-specific humorous observations. His easygoing style has resulted in many requests to do “after-dinner” type speeches, panel discussions and MC at various events. There are many advantages to accessing Ian for staff training, including his willingness to work with managers and staff, facilitating solutions based strategies that take into account individual learning styles, rather than the standard “one size fits all” approach. Ian has had papers published in various magazines and has consistently developed and delivered effective, high quality services to his clients. He consistently receives positive and enthusiastic feedback from participants and clients. Ian has worked in health and private sectors, gaining experience in training and staff development, human resources and Organisational development. He has become known for his expertise in human development and its affects on Organisational and individual work performance. Ian has a truly unique style that uses humour and stories to emphasize the key issues of his well researched speeches. He believes that motivating the audience to become genuinely interested in the subject matter is the key to a successful speech. If he can make his audience sit up and think about the subject in a positive way, and to have this continue after he has gone, he feels that he has succeeded. “Without exception, everyone gained from the experience of listening to you”.